Tabletop and outdoor furniture store Didriks is partnering with Farmhouse Pottery to bring Vermont-made pottery to their brick and mortar stores and online site. Tabletop and outdoor furniture store Didriks is partnering with Farmhouse Pottery to bring Vermont-made pottery to their brick and mortar stores and online at Didriks.com. Didriks will offer the entire Farmhouse collection of hand thrown pottery and accessories. 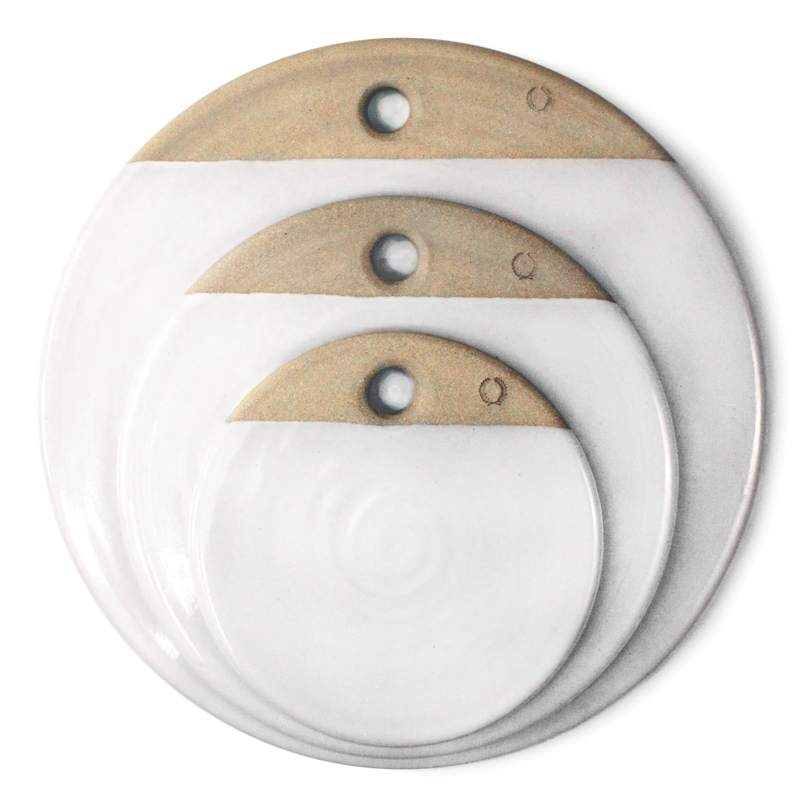 From dinner plates to crocks, this modern farm-style pottery features natural stoneware dipped in a bright white glaze. Each piece is carefully crafted to maintain a unique, high quality and timeless product. 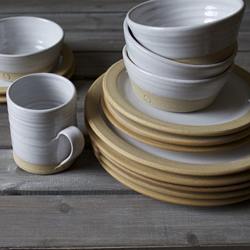 The dinnerware in the collection is hardy and suitable for everyday use. Ceramic cheese stones, available in three sizes, are a great accessory for displaying cheeses and appetizers, making them excellent hostess gifts. Other accessories include lemonwood kitchen utensils, pot holders, wooden bowls and boards, and match strikers. 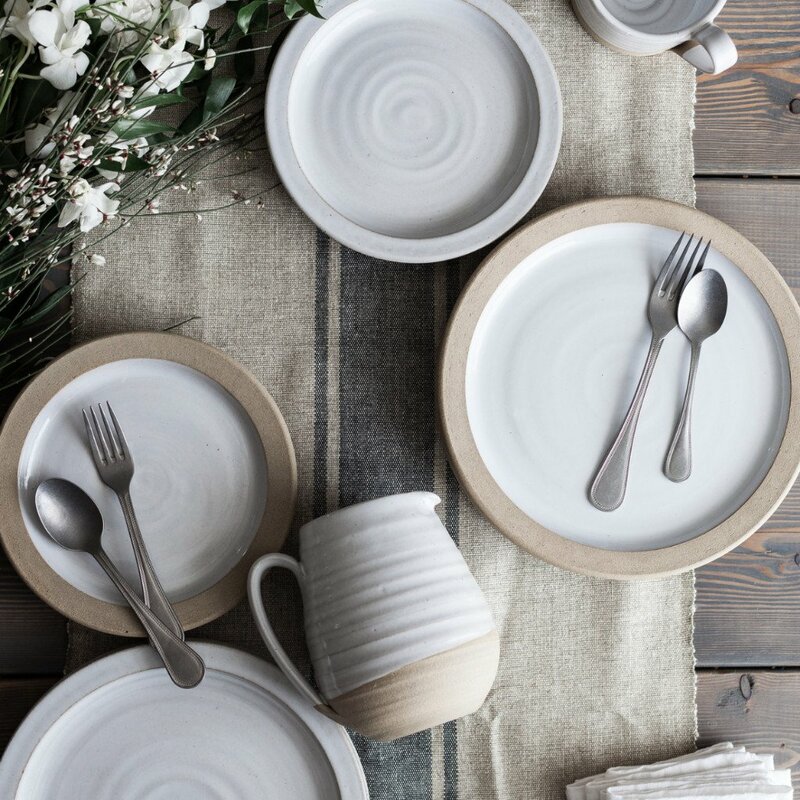 Owner Jonathan Henke is excited about the new collection, saying, “This modern take on farm-style pottery is an exciting look that will work well with our other brands”. Farmhouse Pottery, America’s Pottery Studio was founded in Woodstock, Vermont. The company believes strongly in process and authenticity and is striving to reconnect people to a lifestyle that values sustainability and craft. Their product is organic and made in the USA. Didriks is located at The Mill at Newton Lower Falls, 2284 Washington St, and will be opening a new location in the fall of 2017 at 77 Leonard Ave in Belmont, Massachusetts. For more information, call 617-354-5700 or visit the web site at Didriks.com.